Are there any more Metropolitan Drinking Fountain and Cattle Trough Association cattle troughs in Cheshire? If you know of any other cattle troughs in Cheshire please send me details. On 6 August 1948 a 9ft 6in trough  was moved from Kempton Park racecourse to Chester Cattle Market. On 26 April 1920 a 9ft 6in trough  was erected in Alvaston on the main London Road or possibly Snaralow (?) Road. On 17 November 1928 a 9ft 6in trough  was erected in Macclesfield at Waters Green. This trough may have been removed in 1940. On 26 June 1929 a 9ft 6in trough  was erected in Stalybridge, Grosvenor Square. This trough was removed in 1954. In July 1887 a 9ft 6in trough  was erected in Wellington Road South, Stockport. I've not found any Metropolitan Drinking Fountain and Cattle Trough Association drinking fountains in Cheshire. 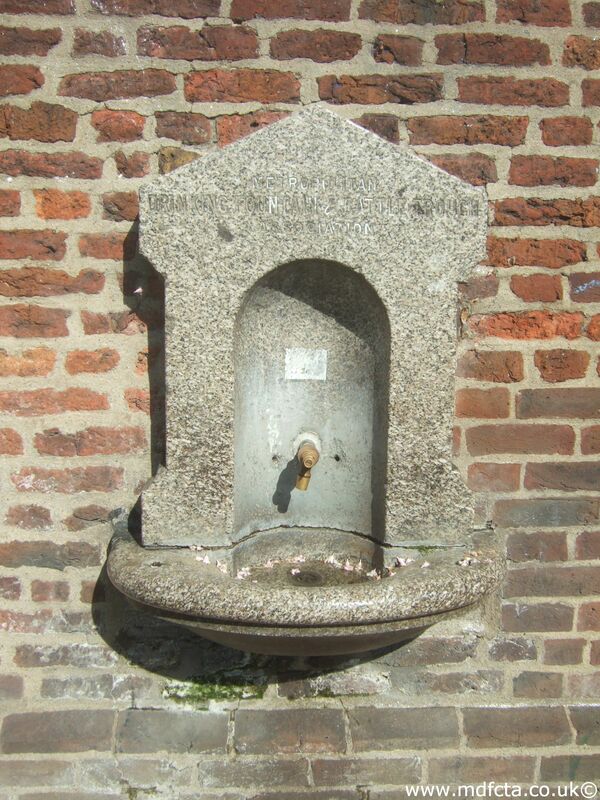 If you know of any drinking fountains in Cheshire please send me details.